I feel like I need to have a conversation with women’s clothing designers and manufacturers. Women benefit from two-way zippers on jackets, too. Yeah, it helps in the bathroom when you’re traveling or out in the woods, but mostly it helps when you sit down. Maybe the clothing retailers, who only ever show jackets on standing models, don’t think—or worse, don’t care—that when you sit, you kind of spread out, and if you are wearing a fitted jacket you will put a lot of pressure on all the seams, to the point that you might just unzip the entire thing to get some relief. The two-way zipper allows you to keep your jacket on and still sit comfortably. I do what I can to pass up the ones with one-way zippers, but sometimes there aren’t any choices. There used to be more of those choices, especially at companies like L. L. Bean, but those choices are dwindling and I don’t get it. It doesn’t take any extra stitches to sew in a two-way zipper. If the issue is cost, just how many more pennies do the two way zippers cost when purchased in bulk from manufacturers? It can’t be that much. Anyway, I just replaced two one-way zippers with two-ways—one of them also reversible—with little effort, just tedious seam ripping. Now I have two jackets—one a rain jacket that I wear fishing, the other a fall jacket that reverses from fleece to nylon—that I will be happier to wear. 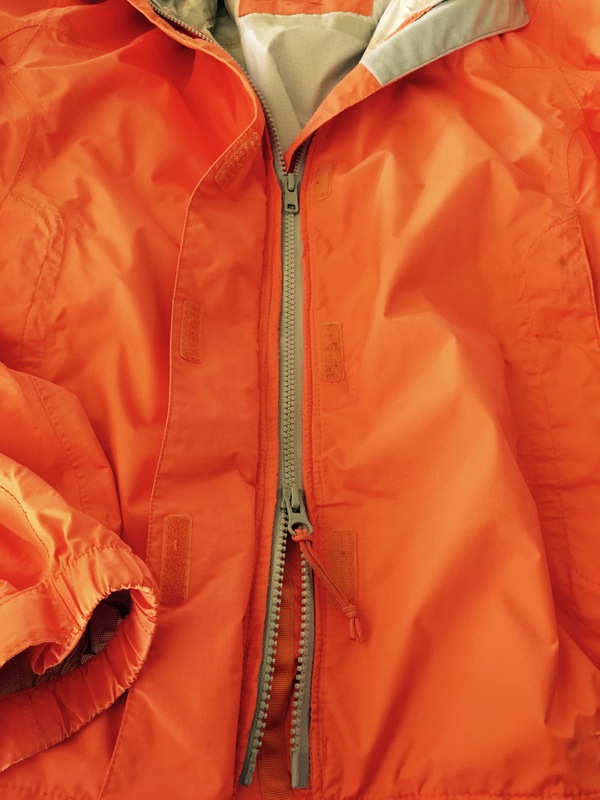 The orange rain jacket had a matching orange nylon coil zipper, and I didn’t think I could match it, so I got a gray molded plastic two-way that matches the fabric inside coating from Wawak. It looks terrific in gray and I have already worn it a few times. It was more difficult to sew in because of the flap and the inside mesh pockets, but it was just a matter of taking a lot of time pinning and doing a little basting in a few places where many layers came together. The reversible two-way zipper was even easier to replace, as the edges were the same on each side with no flap covering. 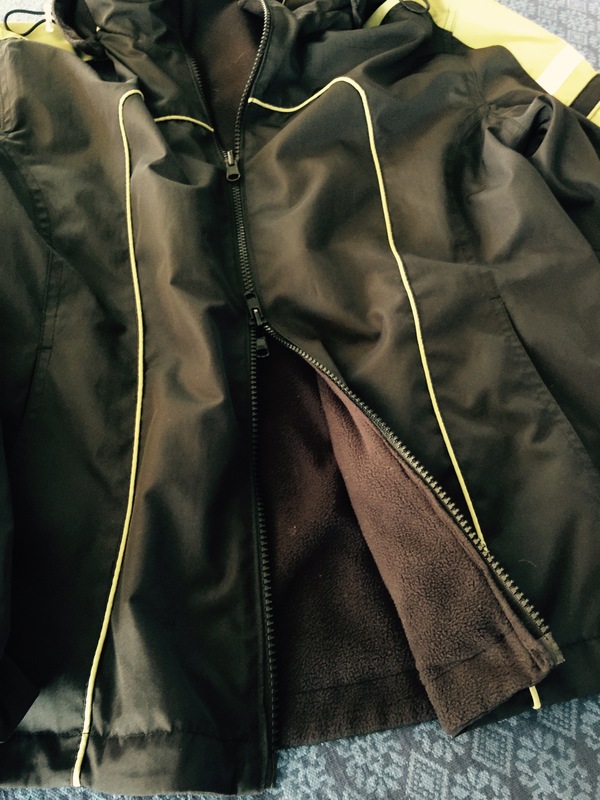 That jacket needed a 25″ zipper (an odd size), so I ordered a custom length two-way reversible from Zipperstop and it arrived in about a week. The custom length was only an extra dollar. It’s too bad that retailers are skipping this feature more and more, but I’m just not going to sit around with open jackets anymore.